On the end of one line is Paul Simon, somewhere in New England. On the other is Sting, somewhere in New York. They would be rehearsing together for their joint tour which hits Auckland tomorrow night and New Plymouth on Saturday, but for the fact that the former bassist frontman of The Police has to see off the final shows of his Broadway show The Last Ship - based on the shipbuilding industry of his hometown, Newcastle - before it closes, having been less than a runaway success. Ah well, it happens to the best of them - Simon's 1997 Broadway show The Capeman lost millions. 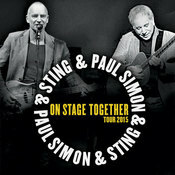 But before Sting headed into theatre land, the pair had been on tour together in the United States, with reviews suggesting the seemingly incongruous partnership worked a treat, with individual sets and shared numbers, which have seen Sting in the Art Garfunkel role on some of Simon's biggest songs. Sting: Not all of it is set in stone. It tends to evolve every day on an ad hoc basis. We throw an idea in and it works, so we throw something out; but the show does evolve and we haven't done it for ... how many months, Paul? Nine months? Simon: Yeah maybe. When did we stop? In the spring. Simon: Yeah, March or April we stopped. We haven't done it in a while but just judging from my band coming back to the stuff, I think it's going to come back very quickly. You and I just have to get our blend back. I think we'll be fine. Sting: I'm not worried if you're not worried. Simon: I'm looking forward to it. What do you mean by getting the blend back? Simon: Well when we first started to sing together, which we did for a charity event in New York, we had these two very distinct voices from two very different cultural environments and locations. But listening to each other and singing closely, we finally did begin to get a really nice blend. That will come right back too. I think we'll pick up exactly where we left off. Sting: Like riding a bike. Sting, has this been a lesson in harmony singing for you? Sting: Oh no, that is what I like doing. I am a fan of Paul's music and I would be harmonising anyway when I was listening as a kid. For me, it's just a great pleasure to be able to do it in public now. And so it's not that feels particularly alien at all. It just feels very natural. Any pinch-yourself moments when you were teaching Paul Simon one of your songs? Of course. He's a legend and it's quite a remarkable thing that I don't take for granted. It's wonderful to be up there singing those iconic songs with him. Simon: Sting, I never saw you pinch yourself once. Sting: I pinch myself before I walk on stage and then I try to be cool. So you were neighbours in the same building. Did the other residents complain about the music? Simon: We used to be neighbours. Now we live pretty close to each other, two blocks apart. Sting: We're not terribly noisy. It's not like AC/DC living next to Metallica. You've both written a lot about New York. Any temptation to do a Big Apple medley ... maybe "The Only Living Englishman in New York?" Or too Vegas? Sting: I'm not answering that. Sting: I know. A tuba. Simone: I added a tuba player. He also plays the euphonium. Wait until you hear the euphonium and french horn, it's beautiful. Sting: Wait until you hear my Abyssinian nose flute. Simon: I've been reading about it but I can't wait to hear it. Sting: Well he's not playing on my material, he's just playing on yours. Simon: Okay, well I appreciate that. That's very generous of you. By the sound of it, you must have very patient backing bands. Sting: Well, they love doing it. I forget how many musicians are up there, but they trade off each other and they try to impress each other and there is a very friendly competitive spirit among the bands, which is very creative. Simon: Yeah, they are happy to see each other ... it wasn't a shock but it was a bit of a surprise at how how easily the blend occurred and how interesting and fruitful it was. Have you shared commiserations about your respective forays on to Broadway? Sting: Commiserations? No. I had the time of my life. Simon: Sting did a lot better than I did. Sting was pretty universally praised for his score and I am sure that he will be nominated for a Tony [Award] too. I was nominated but I wasn't universally praised. I was pretty universally beat-up. But neither one of us has had the experience of a long-running Broadway show yet. Have to ask about the Broadway thing - why do you bother? Simon: It's not a bother. It's a very interesting challenge. Sting: I've got four more shows to do. I finish on Saturday. It's just been fantastic fun. Time of my life. Simon: It's not so far apart really. Sting: I don't think so. Paul was part of my musical upbringing. Simon: I knew Sting's music. It's not that far apart generationally that we wouldn't feel aware of each other's music. At least the most popular of it. Geographically speaking you've both been explorers, music-wise. Simon: That helped. That we're good enough musicians to go looking into other areas and try to assimilate the knowledge from that and let it change our musical thinking so it becomes a hybrid. Both of us were eclectic in that sense. Sting, you've described this tour as "your little experiment". At what point did you think the experiment was working? Sting: I think in the first rehearsal. The criteria really is fun. If you having fun with a group of musicians and another singer then that's it. This is a very fun show and the audience reaction reflects that. The willingness to keep doing that reflects that. It's a really fun show. That's success for me. Simon: See you in a couple of days, Sting. Where and when: Vector Arena, Friday Jan 30; Bowl of Brooklands, New Plymouth Saturday, Jan 31. Summer 2015 – Festival in Portugal Confirmed! 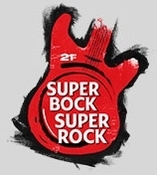 On July 16, Sting will perform at the Super Bock Super Rock Festival in Lisbon, Portugal! Tickets are on sale NOW at http://blueticket.pt. Summer 2015 – Festival in Norway Confirmed! We are pleased to announce that on Saturday, August 1, 2015, Sting will perform at St. Olav's Festival in Trondheim, Norway! Tickets go on sale tomorrow, January 13 at 9AM (local time). Please visit www.billettservice.no/event/447905 for details.